Abstract: Our project aims to answer—with the methods of phenomenology—to the new, unprecedented interrogations raised in the contemporary debate regarding the anthropological difference, i.e., the constitutive difference between human and animal on the animal. We wish to put into light the high potentiality of the phenomenological approach for the research field of “animal ethics,” stimulating in this way the interconnection of these two usually divergent ways of approaching the animal life. The main objective is to establish how the phenomenology of animality is able to provide satisfactory answers to the problems formulated within various areas of the animal studies. The project also aims to an integral reconstruction of the problem of animality in the phenomenological tradition (starting from the works of Husserl, Heidegger, Merleau-Ponty, Levinas, Derrida), offering a comprehensive clarification of the problematic frameworks in which this theme appears. What is the ontological structure of an animal being? Does the animal constitute the world and the objects within the world in the same way as humans do? Is it legitimate to understand animality starting from the basic structures of the human existence, namely the ideas such as consciousness and perception, ego and self, identity and alterity, spatiality and temporality? Can we avoid anthropomorphism and anthropocentrism in the philosophical approach of the animal life? Dr. Cristian Ciocan (Principal Investigator) has a PhD from the University of Bucharest (2006) and a PhD from the University of Paris IV – Sorbonne (2009). He is currently Assistant Professor at the University of Bucharest, Center of Excellence in Image Study (CESI), President of the Romanian Society for Phenomenology (founded in 2000), and Editor-in-Chief of the journal Studia Phaenomenologica. He was Post-doctoral Research Fellow of the Alexander von Humboldt Foundation at the University “Albert-Ludwig” in Freiburg im Breisgau (2007-2008) and of the New Europe College (2009-2010). He is editor of the Newsletter of Phenomenology, and of the Newsletter of Romanian Philosophy. In 2009, he received the prize In hoc signo vinces for research excellence, awarded by CNCSIS (National University Research Council). Recent works: Heidegger et le problème de la mort: existentialité, authenticité, temporalité (Springer, “Phaenomenologica”, 2014); Lectures de Jean-Luc Marion (Cerf, 2016, in collaboration with Anca Vasiliu); Phénoménologie de la vie animale (Zeta Books, 2016, in collaboration with Florence Burgat). For the publications list, click here. Dr. Christian Ferencz-Flatz (Postdoctoral researcher) is the author of three monographs: Obișnuit și neobișnuit în viața de zi cu zi: Fenomenologia situației și critica conceptului de valoare la Martin Heidegger /The Phenomenology of Situation and the Heideggerian Critique of the Concept of Value (Humanitas, Bucharest, 2009), Retro. Amorse pentru o fenomenologie a trecutului / Retro. Rudiments for a Phenomenology of the Past (Humanitas, Bucharest, 2014), and Incursiuni fenomenologice în noul film românesc (Tact, 2015). He has published several articles in international journals such as Continental Philosophy Review, Husserl Studies, Phänomenologische Forschungen, Zeitschrift für philosophische Forschung, Tijdschrift voor Filosofie etc. He translated into Romanian several works by Martin Heidegger, Edmund Husserl,Walter Benjamin and Theodor Adorno. His research interests include: phenomenology, critical theory, the philosophy of history, image- and film theory. Drd. Iulian Apostolescu (Doctoral Student) – member of the project until October 2016 – is a PhD candidate at the University of Bucharest. 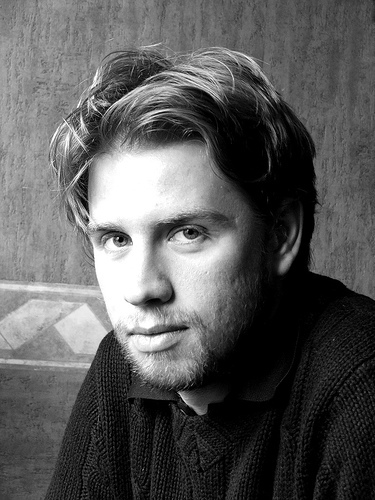 His research interests include: Kantian and post-Kantian transcendental philosophy, Edmund Husserl’s phenomenology, the early phenomenological movement (1900-1939), Martin Heidegger’s phenomenology, the New Phenomenology, the relation between metaphorology and the critical history of concepts in Hans Blumenberg’ oeuvre. Drd. Alexandru Bejinariu (Doctoral Student) is PhD Candidate at the Department of Philosophy, University of Bucharest. His main interests concern the status of phenomenological discourse and conceptuality in their connections with Greek and Christian traditions, the phenomenology of religious life, and the role of embodied experience in the phenomenological investigation. Between June 2014 and September 2015 he was PhD Fellow of the Romanian Academy, Iaşi Branch. He is member of the Center for Phenomenological Studies (CSF), of the Department of Philosophy, University of Bucharest and vice-president of “Hestugma” Cultural Association. Other focus areas include: ancient philosophy, philosophy of religion, literary theory, post-structuralism. Drd. Amalia Trepca (Doctoral Student) is a PhD Candidate at the Department of Philosophy, University of Bucharest. Her main interests are phenomenology, theories of self, aesthetics, critical theory. Her thesis focuses on the transformations of the concepts of subjectivity and self generated by the changing perspectives on the constitution of experience in phenomenology. She is a member of the Romanian Society of Phenomenology and has been the Society’s Secretary since May 2016. CfP: “Comunitate – identitate – diferenţă. Priviri fenomenologice“, 2016 conference of the Romanian Society for Phenomenology, organized by Cristian Ciocan, Paul Marinescu and Bogdan Mincă, in collaboration with the Institute for Philosophy “Alexandru Dragomir”. Panel on “Anthropological Difference”. First article submitted for evaluation to an international peer-review journal (ISI Thomson). Second article submitted for evaluation to an international peer-review journal (ISI Thomson). Third article submitted for evaluation to an international peer-review journal (ISI Thomson). 4 abstracts submitted to international conferences. of Philosophy, University of Bucharest. Cristian Ciocan, Fenomenologia violenței și diferența antropologică. Conference: Comunitate – identitate – diferenţă: Priviri fenomenologice. 16- 17 November 2016. Faculty of Philosophy, University of Bucharest. Alexandru Bejinariu, Animalul din fața mea. Conference: Comunitate – identitate – diferenţă: Priviri fenomenologice.16- 17 November 2016. Faculty of Philosophy, University of Bucharest. Alexandru Bejinariu, Between logos and phōnē. The Question of the Animal in Martin Heidegger’s Reading of Aristotle. Conference 2400 Aristotle. 25- 26 November 2016. Faculty of Philosophy, University of Bucharest. New open position: research assistant. 2 talks accepted for an international conference in Poland. Fourth article submitted for evaluation to an international peer-review journal (ISI Thomson). Cristian Ciocan, “Husserl’s Phenomenology of Animality and the Paradoxes of Normality”, Human Studies 40(2) / 2017, 175-190 (Springer, journal indexed in ISI Thomson / Web of Science), doi:10.1007/s10746-017-9419-7. 1 talk accepted for an international conference in Norway. In preparation: Alexandru Bejinariu, Ileana Borțun (ed. ), Comunitate – identitate – diferenţă: Priviri fenomenologice. Bucharest: Zeta Books 2017. 1 talk accepted for an international conference in the United Kingdom. Fifth article submitted for evaluation to an international peer-review journal (ISI Thomson). Colloquium: Scrisoare despre „umanism” – după 70 de ani, Facultatea de Filosofie a Universității din București (31 mai 2017). 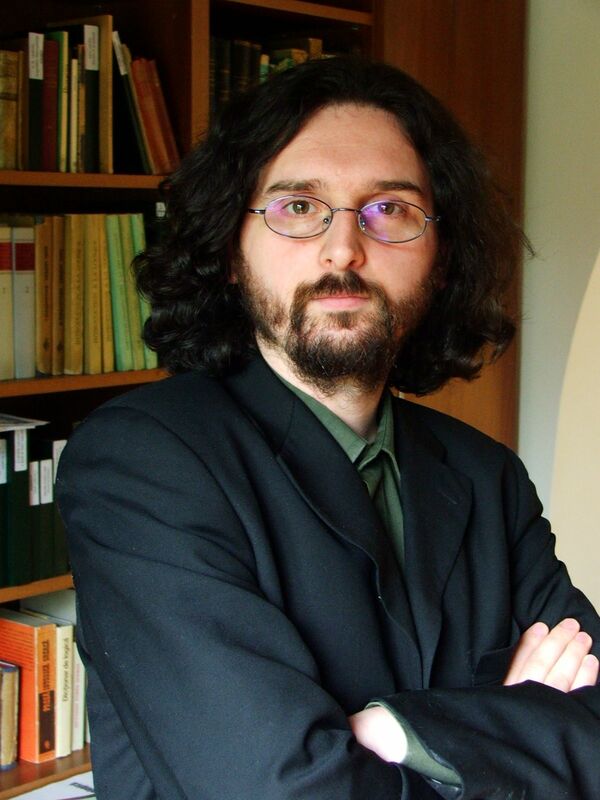 Cristian Ciocan, “Violence, Animality, and Territoriality”, accepted for publication in Research in Phenomenology vol. 48 issue 1 (2018) (Brill, journal indexed in ISI Thomson / Web of Science). In preparation: Cristian Ciocan, Mădălina Diaconu (ed. ), Studia Phaenomenologica vol. 17 (2017) Phenomenology of animality. In preparation: Cristian Ciocan, Amalia Trepca (ed. ), Studii de fenomenologie a animalității. Sixth article submitted for evaluation to an international peer-review journal (ISI Thomson). Cristian Ciocan, Amalia Trepca (ed. ), Fenomenul „animal“: Abordări fenomenologice ale diferenţei antropologice. Zeta Books, 2018. Alexandru Bejinariu, Ileana Borțun (ed. ): Comunitate – Identitate – Diferență: Priviri fenomenologice, Zeta Books, 2018. Cristian Ciocan, Bogdan Mincă (ed. ), Heidegger și Scrisoarea despre „umanism” – după 70 de ani, Zeta Books, 2019.